Montreal-based national carrier Bell reported a strong end to the year in its Q4 2018 results showing it earned $6.215 million in revenue, a three percent increase from the $6.036 million it earned in 2017. Bell reported its Q4 financial quarter results for 2018 on February 7th, and said it ended the year with 9,610,482 wireless subscribers, a 4.8 percent increase from the same reporting period a year earlier. But like analysts predicted, in wireless reporting the company dropped in net postpaid additions and had a continuous decline in churn rate. 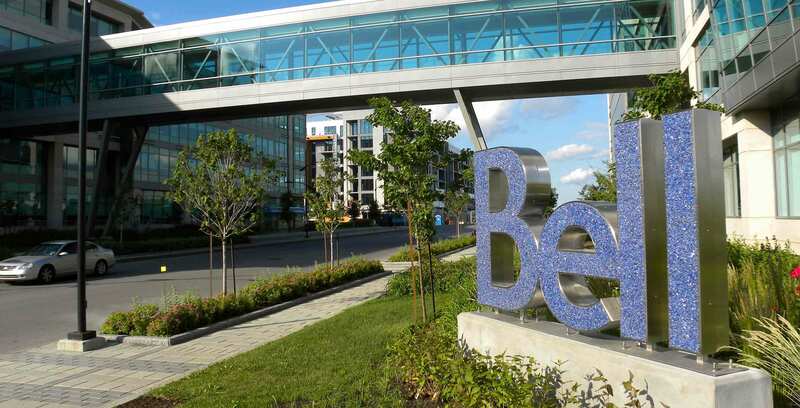 Bell said that it added 122,000 postpaid net subscriber additions to its wireless service. This dropped from the 175,000 postpaid net subscribers that it added in Q4 2017. “The decline can be attributed to an 11.4 percent decrease in gross additions reflecting our selective matching of aggressive competitor holiday promotions compared to 2017, and the lapping of customer migrations from our long-term mobile services contracted with Shared Services Canada which began in Q4 207,” Bell said. This would make sense because of the three national carriers and Shaw-owned Freedom Mobile, Bell added the most postpaid subscribers during last year’s 10GB for $60 promo pricing wars. It’s important to note that Bell and its flanker brand Virgin Mobile had planned to increase the price of the plan to $65 per month. Bell did recover from postpaid net addition losses by increasing prepaid net additions. It said net additions increased by 21,334 new customers compared to a net loss of 16,690 in Q4 2017. “Both [were] driven by continued strong demand for our low-cost Lucky Mobile prepaid service,” Bell said. Bell did report a 1.26 percent churn rate, which is an improvement from the same reporting period the previous year. In Q4 2017, the churn rate was 1.35 percent. In terms of average billing per user (ABPU), the carrier said it was the “highest reported blended” ABPU in Q4 at $67.46, down 1.2 percent from the same reporting period a year ago. “The decrease was due mainly to reductions in data and voice overage revenue resulting from larger data allotments and talk minutes in monthly rate plans,” Bell said.